It has been a busy couple weeks in the casino and gambling industries. With sports betting legalized in several states, major sporting events like the NBA finals and the Masters golf tournament are garnering more attention. There have been some big winners, especially with Tiger Woods beating 14-1 odds to win his first championship in 11 years. Meanwhile, competition is heating up in Atlantic City and Las Vegas as casinos continue to make improvements and cater to today’s audiences. 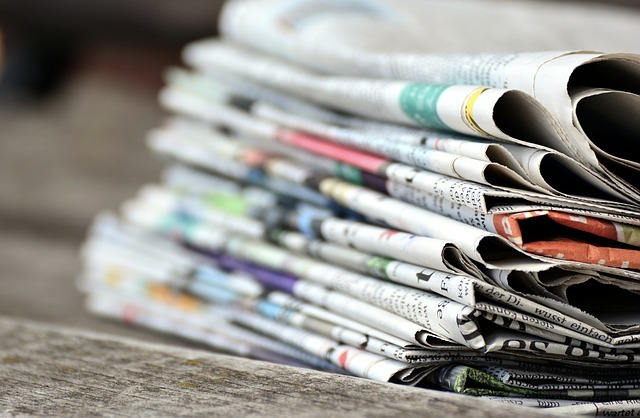 Keep reading for a roundup of all the latest casino and gambling news you might have missed. While Tiger Woods is one of the most recognizable names in sports, he hadn’t won a major tournament in 11 years. Going into the Masters tournament, no one was predicting that this would be his comeback and initial odds were placed at 14-1. 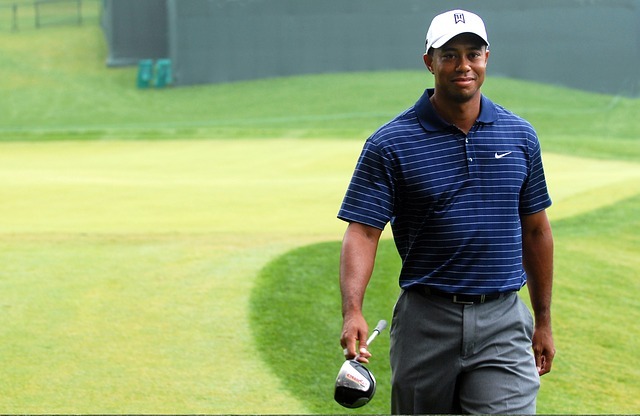 As the tournament wore on, more betters were putting their money on Woods even as he fell behind on the last two days. William Hill, FanDuel and DraftKings have reported that between 20%-30% of all the incoming bets were being put on woods. Clearly, the fans were rooting for Woods and hoping for both a comeback tournament and a big win that would put some money in their pockets. As a result, sportsbooks had a rough week with payouts of well over $1 million. In fact, one customer placed a $85,000 bet with 14-1 odds, which meant a single payout of $1.19 million. It is the largest payout on a golf bet in history and will probably remain so for some time. While sports betting companies took a major hit with Woods’ win, they won’t have trouble recovering. There is plenty of money coming in as people continue to bet on sporting events, including the NBA finals, which have just gotten under way. Most experts agree that the Warriors are on pace to win the championship again, but there is a lot of disagreement about who they will play in the finals. Fans could end up making some money if they make some lucky bets. A multi-million dollar art collection. What says sophistication more than priceless works of art? Contemporary artist, Damien Hirst, is responsible for much of the new art, which includes a 60-foot bronze sculpture. This impressive piece is the focal point for the 73,000 square foot day club, which is converted into a night club in the evenings. The Empathy Suite will hold the record for the most expensive accommodations in the world. A weekend stay will cost $1 million and features a butler, chauffeured car and a recording studio. The 9,000 square foot villas was also designed by Hirst and features his unique art and furniture. The new Palms also features “the most pools at a resort in North America” and an LED screen that is 270 feet tall and the largest in the entire city. Visitors can also dine at a long list of five-star restaurants and enjoy shows from some of today’s most popular artists, including Cardi B, Alicia Keys, Hozier and Skrillex. The new Palms Resort and Casino is a perfect example of what many are calling a second wind for Las Vegas as the city continues to work to stay relevant and maintain its reputation as an entertainment capital. Some recent studies have revealed interesting insights into who is visiting Las Vegas and why. In 2016, 27% of visitors were going to Las Vegas for the first time. Compare that to 2018 when 18% of visitors were there for the first time. Keep in mind, that the overall number of visitors hasn’t significantly decreased, which means that more and more people are returning to Vegas for repeat trips. Looking to the future, the city may want to look at ways to attract new visitors. Obviously, the people who make the trip are having a great time, but there may be some room for growth when it comes to bringing in first time visitors. On the other side of the country, Atlantic City is feeling the impact of increased competition. Last year it saw the introduction of two new casinos and legalized gambling in surrounding states. While overall gaming revenue is up 25%, some of the oldest casinos are experiencing a decrease in profits that range from 8% to 11%. For now, the market is strong, but customers are taking their business to newer establishments or those that have undergone recent renovations. It looks like Atlantic City casinos will have to invest in upgrades if they don’t want to lose out to newcomers. For those who have been anxiously awaiting the legalization of sports betting, this inaugural year has already proven both exciting and groundbreaking. Fans have won some big pots and there are plenty of big games and matches on the schedule in the coming months. Las Vegas and Atlantic City are also continuing to experience solid business as people make return visits to check out new casinos and entertainment venues. 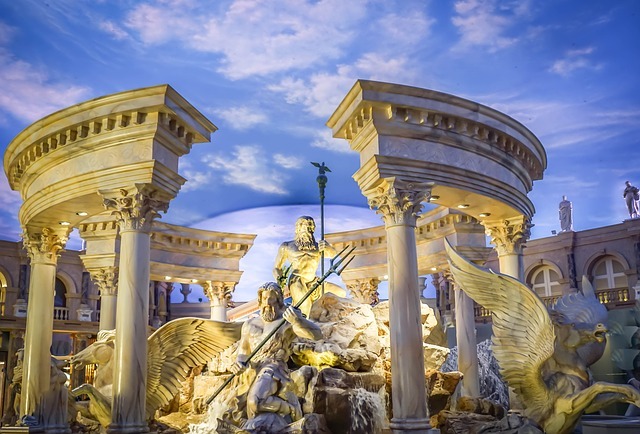 As construction and upgrades continue in casinos across the country, we can expect to see more extravagant and sophisticated buildings that combine the latest technology with priceless art and high-end decor. With competition increasing everyday, casinos will be leveraging everything from back-end management software, like Casino Schedule Ease, to world-renowned designers and architects to pull in customers. This is great news for anyone who likes to gamble and is looking for an excuse to go on vacation. Humans are interesting creatures. We tend to be superstitious. We often act in ways that are contrary to our best interest and while we think of ourselves as individuals, our behavior is actually quite predictable. Gambling is an excellent example of this and provides some insight into how we think and how we are motivated. 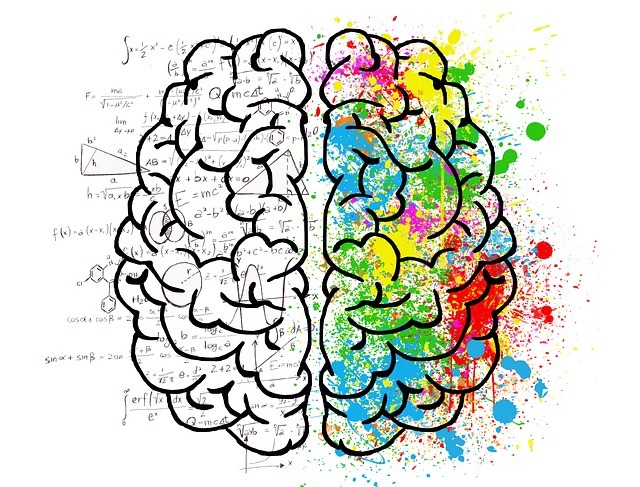 In this post, we will take a closer look at what happens in the minds of gamblers and how casinos use psychology to design games, floor layouts and other aspects of their business. Placing a bet actually makes you more confident that you will win. One study surveyed horse track gamblers before and after they had placed their bet. It turns out that their confidence increased once they had put money down. Committing to the outcome of the race made them feel like they had a better chance of winning. People who are in a good mood gamble more. 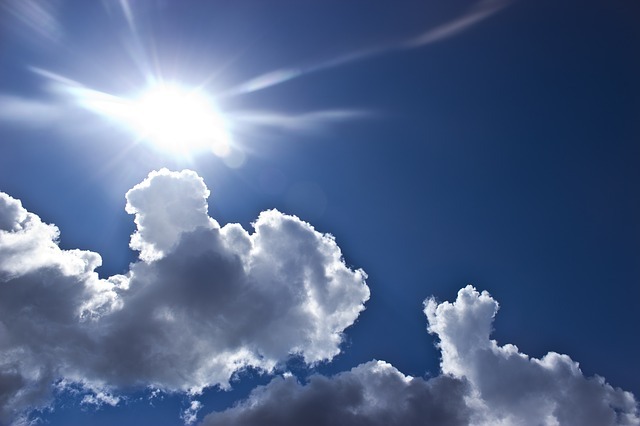 In fact, studies have found that both good weather and winning local sports teams lead to people to take more risks. Essentially, a positive mood makes people feel like everything is going to turn up sunny and they are more likely to win. The gambler’s fallacy is a well-documented process. It describes the belief that if a certain number or pattern has come up frequently, then it is inevitable that a different outcome will happen soon. This is the logic that motivates roulette players to put all their money on red after there has been a long series of black numbers. In reality, the odds don’t change based on previous events. Despite the fact that most forms of gambling are completely random and the final outcome is unpredictable, people continue to believe that they can beat the system. For example, slot machine players will often stick with a machine that has paid off more frequently or they will find a machine that hasn’t had a big win in a while because they think it might be due. If you have frequented casinos, you have probably also noticed people with lucky charms and rituals that they perform. While these superstitions might bring some sort of comfort, there is no way to predict or influence outcomes. Losing is just exciting as winning. Research shows that even gamblers who are losing are still experiencing an adrenalin and endorphin high. This means that even people who walk away from the casino having lost more than they won, report having an overall positive and enjoyable experience. While Friedman’s work was the standard for some time, the past few decades have seen a design shift that reflects a new understanding of psychology. The latest design trend has been dubbed the “playground design” and flies in the face of what we used to think about how visitors respond to design. In fact, playground design is almost the exact opposite of gaming design. Instead of the maze-like design, which could make people feel trapped, confused and anxious, casinos now have a more direct layout with clear paths to certain destinations. There are clear sight lines and wayfinding tools so that people can easily navigate the entire casino. The thought is that the more relaxed people feel, the more likely they are to enjoy their time and make bigger bets. The low ceiling principle has also been left behind in favor of high ceilings covered in fabric. This approach adds a feeling of openness and warmth. The fabric helps to absorb sound, add softness and prevents the space from feeling too cavernous and overwhelming. Perhaps most notably, casino lobbies and entrances have received a complete makeover. Gambling equipment has been removed and the decor has been upgraded to provide a more sophisticated and elegant look. This approach welcomes visitors to a unique experience and makes them feel transported to a different place. Today, the decor is being more expertly used to set a mood rather than simple reinforce gambling. This shift in design principles signifies a new understanding of the psychology of consumers and gamblers. 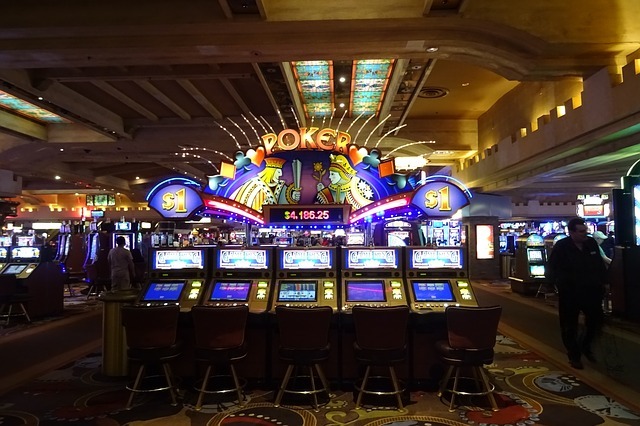 Today’s casino visitors are more interested in the overall experience. They want to try their hand at winning a big pot, but they also want to enjoy a new experience that takes them away from their daily life and allows them to relax and enjoy the natural high that comes with gaming. In order to meet these changing needs, casinos are revamping traditional designs, incorporating more restaurants and entertainment venues and working to create a more seamless and convenient experience. This can be seen in everything from more direct floor layouts to new management tools, like Casino Schedule Ease, that improve processes and operations. While people will remain hopeful that their lucky charm will work and the next big jackpot is just around the corner, consumer behavior and preferences will continue to evolve. That is why understanding the psychology behind gambling and casino design provides valuable insights into the future. 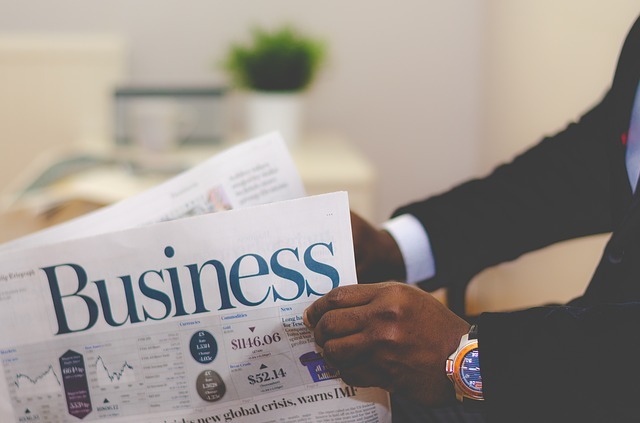 Lately, the federal government has dominated the business news with new trade agreements, the 2019 budget proposal and major tariffs on long-time partners. With so much going on, some groundbreaking deals and developments in the casino industry have managed to fly under the radar. From changes in the way employees are compensated to new deals between casinos and professional sports team, the landscape has shifted significantly in just the past few weeks. Here is a round-up of what has happened and why it matters. Carl Icahn has earned a reputation as a shrewd businessman and corporate raider. Over the years, he orchestrated the hostile takeover of Trans World Airlines and has tried to buyout Marvel Comics, Lionsgate Films and several pharmaceutical companies. While not all of his pursuits have been successful, it appears that he now has firm control of Caesars and is looking to sell the company. In the past, companies have resisted his efforts to purchase and dismantle the business, but it looks like Caesars is all too happy to pass their financial problems on to someone else. Caesar’s financial problems came to a head in 2015 when the company declared bankruptcy. By 2017, they merged with Caesars Acquisition Co., and Caesars Entertainment Operating Co. Inc. and were able to restructure the business enough to come out from bankruptcy protection. 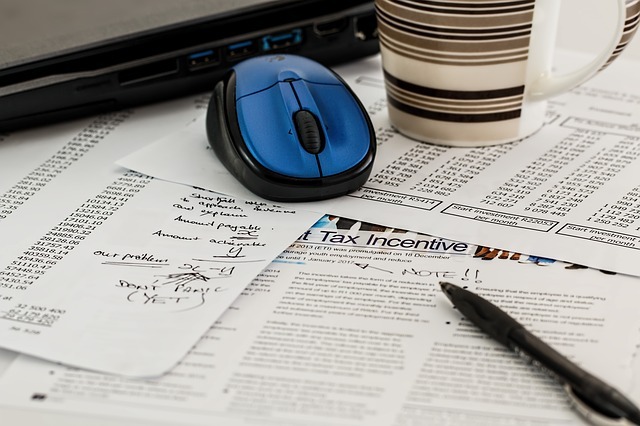 Typically, these types of deals are meant to streamline financial dealings, relieve immediate debt problems and provide money to invest in the future. In this case, the merger appears to have created more confusion and created “one of the most – if not the most – financially convoluted casino firm(s) in the world.” For that reason, even those who oppose Icahn, haven’t really been left with much of a choice but to relinquish the company. In February, Icahn purchased a 9.78% stake in the company, which was recently upped to 15%, making his the largest stakeholder in Caesars. Icahn has also moved more of his people onto the board and he is expected to entertain purchase and merger offers that were rejected in the past. While he is sure to make a nice profit, shareholders aren’t happy about the turn of events and the company’s stock price has dropped 8% since Icahn started buying up shares. Only time will tell whether Icahn’s presence will be a boon to Caesars or only to Icahn. 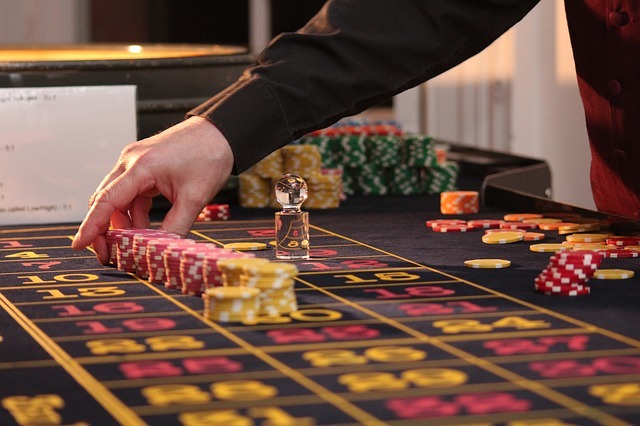 In past posts, we have talked about all the perks that go along with working at casinos. Employees enjoy bonuses, competitive wages, free meals, on-site fitness facilities and much more. Now it looks like the package is getting even sweeter for casino workers across the world as wages continue to increase. In Macau, wages have been outpacing inflation rates, which has allowed employees more disposable income. Many of the city’s casinos have also decided to show their appreciation by providing non-senior employees with a raise. This may be part of an effort to fill an estimated 1,321 open positions that were reported during last year’s fourth quarter. Macau’s pay raises seem to have inspired MGM China, who followed suit with their own raises. 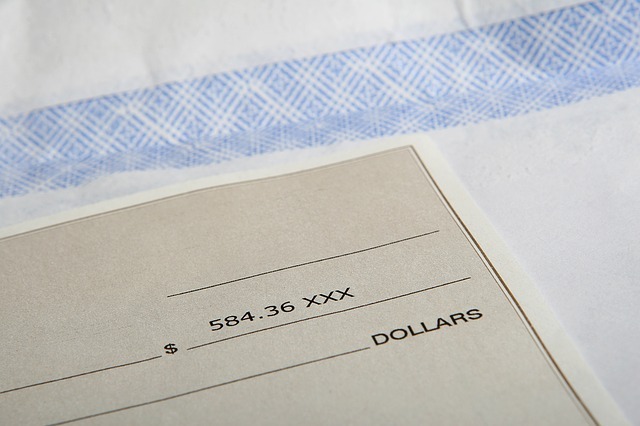 Employees who have been with the company for more than a year recently received a pay increase of 3.8% to 7.1%. This is good news for anyone looking for a career that offers continued professional development and the opportunity to earn more. Hopefully, other casinos will continue to recognize the importance of employee loyalty and offer wages that not only keep up with the cost of living, but provide for a better future. In the wake of legalized sports betting, casinos and teams are finding new ways to form mutually beneficial relationships. 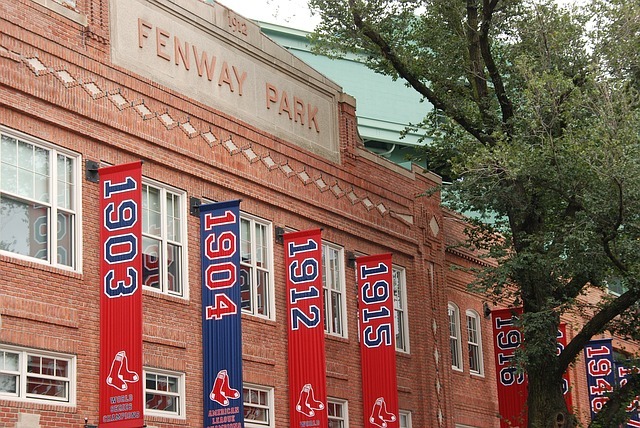 Recently, the MLB closed on a deal that makes MGM the league’s “official gaming partner.” Now, the Red Sox have taken things a step further by establishing their own exclusive partnership with the casino. As part of the deal, MGM will have prime advertising spots behind home plate and access to other marketing opportunities through team owned media outlets. The casino will also host fan experiences at Fenway and host the annual Baseball Winter Weekend where attendees can meet and chat with the players during various events. This relationship may be a signal of what is to come and the boundaries between sports and gambling continue to blur. Churchill Downs is also making decisive moves to make sure that they get their share of the future of sports gambling. The gambling company recently bought the Rivers Casino Des Planes in Illinois, a state that is expected to legalize sports gambling in the near future. They also purchased the Lady Luck Casino Nemacolin in Farmington. This deal provides Churchill with 27 gaming tables, 600 slot machines and the opportunity to open the property’s first sports book. Now that the deal has been finalized, construction of a sports betting facility is expected to follow shortly. The Churchill Downs company is one of many who are doing their best to capitalize on this new form of betting and remain proactive. Behind the scenes, there are a lot of deals being made among casinos and software companies in order to improve operations. As casinos and betting operations become more sophisticated, running these large scale resorts also becomes more complicated. Companies like Casino Schedule Ease, are working to streamline management tasks so that casinos can continue to offer an excellent customer experience. 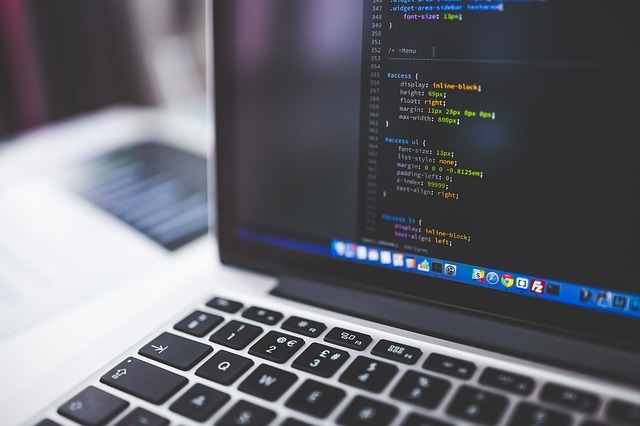 More and more establishments are recognizing the need to update processes and turning to software solutions. This is especially true as more states approve gambling and the number of casinos expand and increase competition. Software solutions, like Casino Schedule Ease, are helping casinos to transition into the future of business. These big business deals and wage increases signal a healthy industry that is poised for growth. As restrictions on gambling continue to loosen and sports betting becomes more established, we are sure to see more creative collaborations and takeovers. And with the introduction of new technology into the industry, the future of casinos looks bright and full of potential. Awards season is here, and no, we are not talking about the Emmys and the Oscars. In case you missed it, the winners of the 2019 Global Gaming Awards were announced on February 4th, at a ceremony in Hippodrome Casino in the heart of London. This second annual event honored winners across 16 different categories that cover the full range of the gaming industry. From online operators and game designers to payment providers and chief executives, the event showcased the diverse set of skills and elements that go into a successful gaming operation. This event also marked one of the few times in history when the world’s major gaming leaders were all gathered in one place. For those who are still catching up on the latest news, here is a recap of the 2019 Global Gaming Awards highlights. While the Global Gaming Awards are still relatively new, they have already become the trusted standard and even a nomination is a prestigious achievement. Submissions to each category are reviewed by a panel of 50 judges who choose a first and second choice. The awards specifically look at the past 12 months of performance and recognize those who have achieved remarkable success in their field over the past year. The Casino de Monte-Carlo took top honors this year. 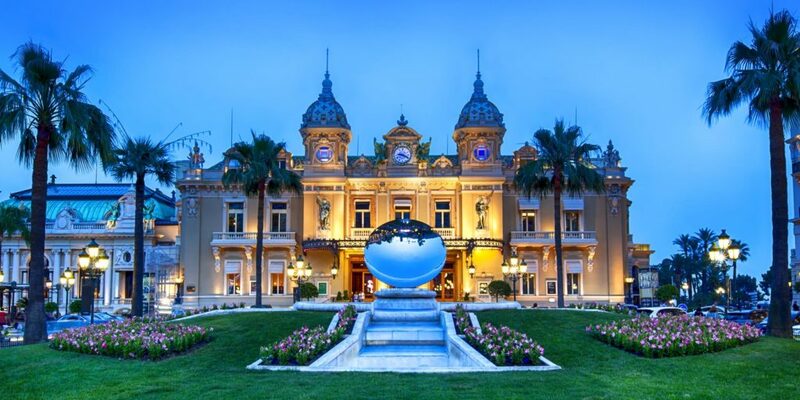 This beautiful casino located along the shores of Monaco has a long and storied history. 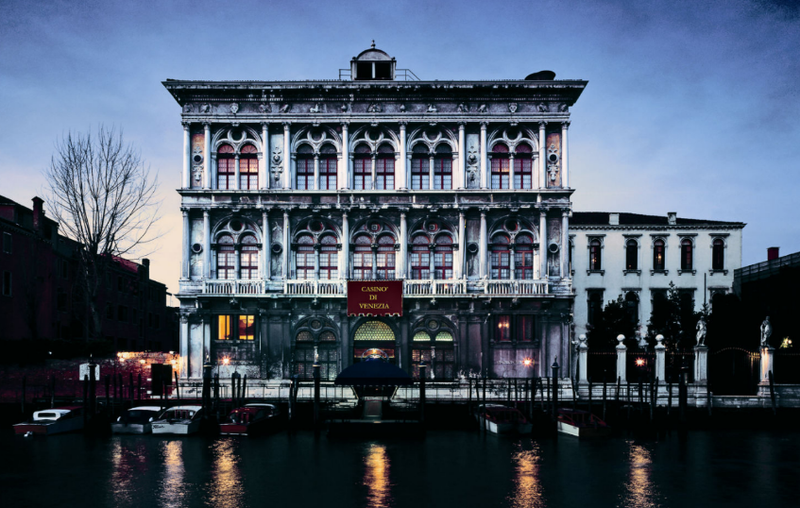 While the opening date is officially listed as 1863, Princess Caroline first started developing the idea for a casino and spa as early as 1848. The royal family and the Monaco government, which still own a controlling interest, were in desperate need for a way to generate revenue. This began massive talent recruiting and construction projects that would eventually culminate to what is now regarded as one of the world’s best casinos. From the beginning, it looked like the Casino de Monte-Carlo was doomed for failure and destined to be a financial catastrophe for the tiny country. There wasn’t an extensive infrastructure in place to accommodate an influx of people. It simply wasn’t easy to get to Monaco and the accommodations were less than impressive. However, over the years, the project continued to evolve and attract new leadership and investors. Despite a rocky start, the Casino de Monte-Carlo has managed to survive for 156 years and earn this year’s title of best casino. The Global Gaming awards isn’t just about recognizing casinos and gaming companies that have managed to expand and increase revenue. The awards also work to identify innovators within the industry. This year’s winner of the Corporate Responsibility Programme category is working to help people enjoy responsible gambling. Kindred has created a Player-Safety Early Detection System that uses data to analyze user behavior and detect any potential problems before gamblers suffer personal, financial and psychological pitfalls. Clients can use the program to set deposit and loss limits, block betting websites and receive reality checks when their behavior indicates that there might be a problem. Kindred is designed to encourage responsible gaming and use technology to better understand trends in user behavior. From there, Kindred can take a human approach that treats people as individuals rather than just a part of a larger data set. 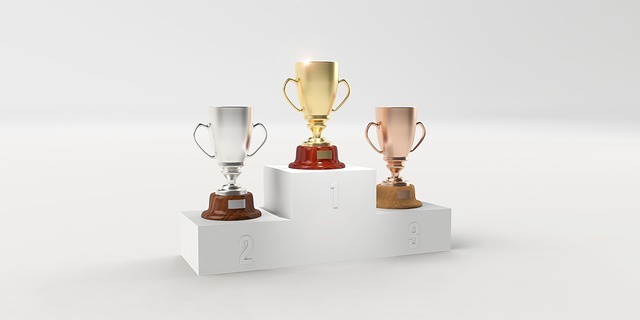 This award is meant to showcase leaders who “have made the most significant impact on any industry company.” The winner for 2019 was Kenny Alexander of GVC, a company that was founded in Luxembourg in 2004 and is currently traded on the London Stock Exchange. In 2007, Alexander took over as CEO and beginning in 2016, he embarked on a bold plan to significantly increase shareholders’ earnings over the next three years. He was able to achieve remarkable growth by taking over Bwin. Party Digital Entertainment and Ladbrokes Coral and it looks like there is no sign of slowing down. 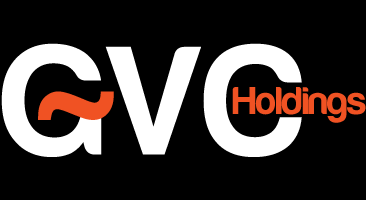 In that past ten years, the company has gone from earning millions to billions and the future looks bright for both GVC and Alexander. Casino games and products have been changing rapidly over the past few years. Consumers are looking for more interactive games and a completely different casino experience. NetEnt responded with a new take on classic slots just when it seemed like these types of machines were about to become a relic of the past. 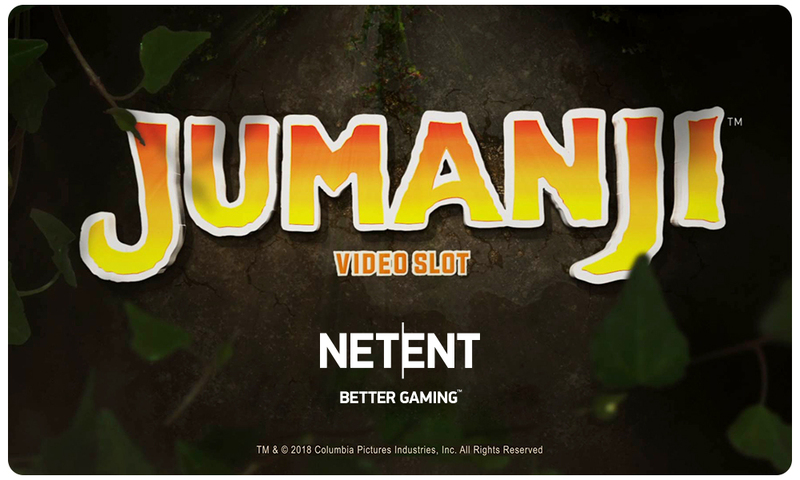 The company capitalized on the popularity of the Jumanji movies to create a gaming experience that combines elements of a traditional slot machine with the board game that drives the plot of the movie. This crossover experience has proved a gamer favorite and earned Jumanji top honors as this year’s best casino product. If you would like to learn more about winners from the other categories and nominees that are definitely work taking a closer look at, be sure to visit the Global Gaming homepage. You can also view results from the inaugural 2018 awards and get a better idea of how the industry has evolved just over the past couple years. It is nice to see individuals and companies from all areas of the industry receiving recognition from their peers for all their hard work. The entire industry is changing rapidly and highlighting successes is a great way to continue to encourage innovation. With any luck, the number of categories will expand and other companies, like Casino Schedule Ease, who are working to improve operations and management procedures, will also be celebrated by the industry for their contributions. 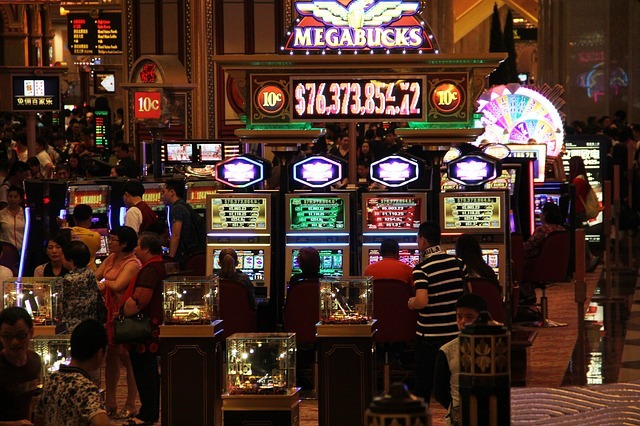 When it comes to gambling, the United States has Las Vegas and China has Macau. This coastal area is an international destination for high-rollers and developers looking to capitalize on the booming gaming industry in the area. 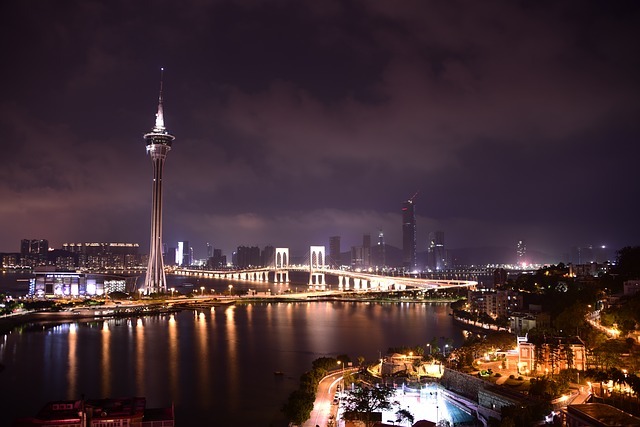 Over the past few months, Macau has been in the news as the region worked to recover from the devastating typhoon Mangkhut that struck in mid-September of 2018. Fortunately, rebuilding efforts have been propelled by wealthy business owners and a government eager to get the area back up and running and bringing in revenue. This month, Macau is once again in the headlines with two big controversial stories involving casinos and massive amounts of money. For the past ten years, the Ho family, which consists of four wives and 17 children, has been battling for control of Sociedade de Turismo e Diversoes de Macau, the parent company of the original gambling company that put Macau on the map. The family patriarch, Stanley Ho is currently 97 years old and regarded as the godfather of gambling. His empire is worth billions and includes nineteen casinos. In 2006, the casino revenue in Macau exceeded that of Las Vegas and Ho is now one of the richest men in the world. In June of 2018, Ho finally decided to go into retirement and the battle over leadership of his companies heated up. Now it appears that there is a clear winner and a new head of Macau. With a large family comprised of individuals each vying for their own portion of an enormous pie, you can imagine the infighting that has occurred over the years. When he first announced his retirement, his daughter Daisy Ho was tapped as the next Chairman and Executive Director. She currently serves with Timothy Fok, who is the son of Ho’s original business partner. The rest of the executive board consists of Ho’s third wife, Ina Chan, and Ambrose So. As you might imagine, this fractured power structure immediately gave rise to a family feud. Many of Ho’s children currently serve as heads of his various companies and have become billionaires in their own right, but that hasn’t stopped them from seeking control of the entire empire. Just recently, Pansy Ho, who is credited with helping to create MGM China formed an alliance with some of her siblings and the Fok Foundation. This new partnerships now controls 53% of the company, giving them the majority vote and effectively wresting power from Ho’s fourth wife, Angela Leong. While this latest alliance appears to have put a temporary end to the family feud, it is unlikely that the other family members will resign to the results without a fight. One can only imagine what will happen once Ho passes away. 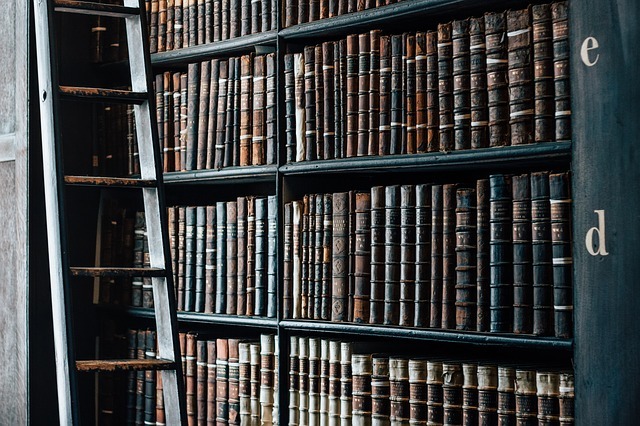 There is a good chance that the family will be bogged down with lengthy and expensive litigation, which could prove fatal for the company as they continue to face new market challenges. Too much focus on power grabbing could mean the disintegration of a legacy as more Asian countries enter the market and Macau looks to create a more diversified economy that isn’t solely reliant on gambling. The Hsin Chong group has been responsible for many large casino projects across Macau, including the Parisian Macao Resort and other Sands China backed projects. Despite this prior success, the company is having trouble settling up with its creditors and is seeking help from bankruptcy proceedings to help restructure the company and continue to operate. According to a filing made on January 22nd, the company is in default for $15o million. According to Hsin Chong, their major work on phase 3 and 4 of the Galaxy Macau Resort has been completed and any delays are not due to their financial troubles. However, there appears to be some disputes about the value of certain projects and whether the company has met their responsibilities. As it stands now, phase 3 of the Galaxy Macau Casino won’t be open before mid-2020. Hsin Chong is hoping that corporate restructuring will allow the company to continue to bid on construction projects and return to the Hong Kong stock market. The company’s trading abilities were suspended in 2017 and have yet to be reinstated. 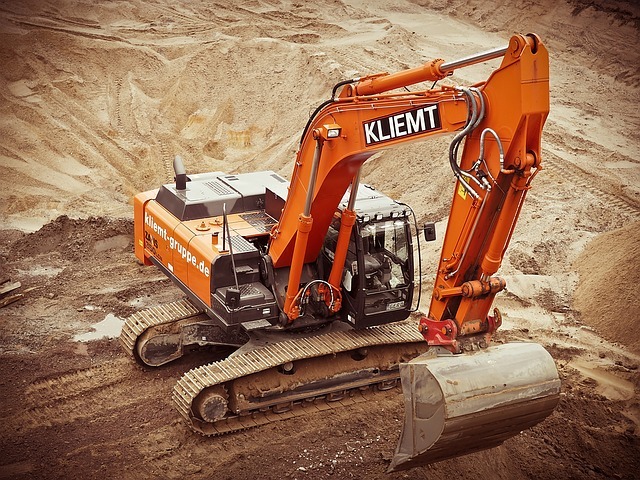 Hopefully, legal intervention and some liquidation will help to put construction projects back on track and help restore the company’s reputation. In some way, Macau has been a huge success with revenues surpassing those of Las Vegas and new casino construction constantly in the works, but it can also serve as a cautionary tale. While there is no arguing that the Ho family has achieved extraordinary success, their market share has been cut in half over the past few years from 30% to 15%. The competition is on their heels and infighting may be making them blind to potential threats as more casino licenses are approved and neighboring countries are beginning to fight for their share of an extremely profitable industry. At the same time rapid construction may not be taking into account consumer demand or looking closely at companies providing these services. In the rush to build and earn, casinos may be partnering with less than reputable companies who may not be able to deliver on their promises and stay on budget and schedule. Ultimately, in the race to build more and make more, casinos risk losing sight of the future and investing time and energy into the right places. At a time when technology and innovation are pushing every industry, it would be a mistake to ignore these areas and spend money on the status quo. 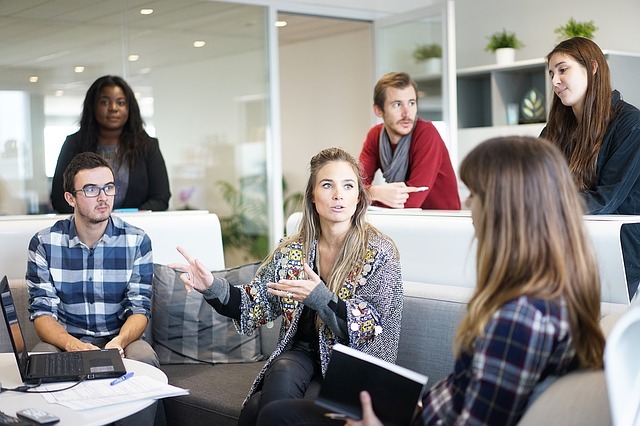 Moving forward a successful business plan must include new games, management software like Casino Schedule Ease that improves operations and amenities that speak to a changing customer base. Despite its historic success, Macau may lose its top spot as the world’s gambling hub if business owners don’t take a longer view of where the market is going. From the very inception of Las Vegas, it flew in the face of longstanding conventions, yet is has continued to survive and avoid fizzling out as a passing trend. The city is a true hub of innovation that spans all industries and disciplines, including architecture. While most people probably wouldn’t think of the city as a design marvel, it achieved something truly spectacular that has continued to serve as a model of city planning. The popularity of Las Vegas has also provided valuable insights into what people actually like when it comes to aesthetics. These factors have put a lasting mark on American culture and changed the trajectory of architecture. In this post, we will take a closer look at just how all this came about. In the early 1960s, Modernism had taken over and designers were gravitating towards sleek and minimalist buildings that could be cheaply constructed using concrete, steel and glass. They were rejected the frills that defined many classic buildings. This movement was so sweeping that it didn’t just affect new builds. Many architects were pushing to have old buildings torn down and replaced with new modern alternatives. There was little appreciation for the historic significance of existing architecture or what it might teach us. Meanwhile, in Las Vegas, construction was continuing to ramp up and they clearly couldn’t care less about Modernism. 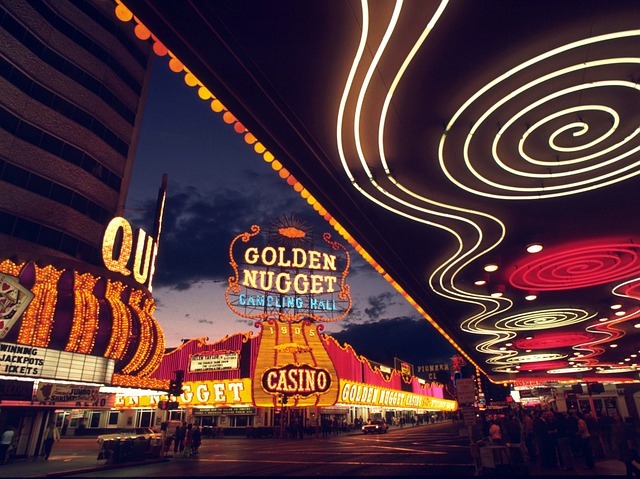 From signs to buildings, Las Vegas was all about big, bright and bold. They weren’t trying to limit frills. They were trying to add as many as possible. An entire city, that didn’t feel bound by traditional rule of architecture, was rising up out of the desert. Architects tended to scoff at the city and consider it an ostentatious mess, Denise Scott Brown recognized that there were important lessons to be learned from Las Vegas. As a young architect, she was immediately drawn to the city and it didn’t take long to recognize that Las Vegas had actually done a tremendous job in city planning. More and more Americans owned their own cars and the wide roads along the strip were driver friendly. In addition, all the large, garish signs actually achieved a bigger purpose: They were perfect way-finding tools that helped draw in customers. 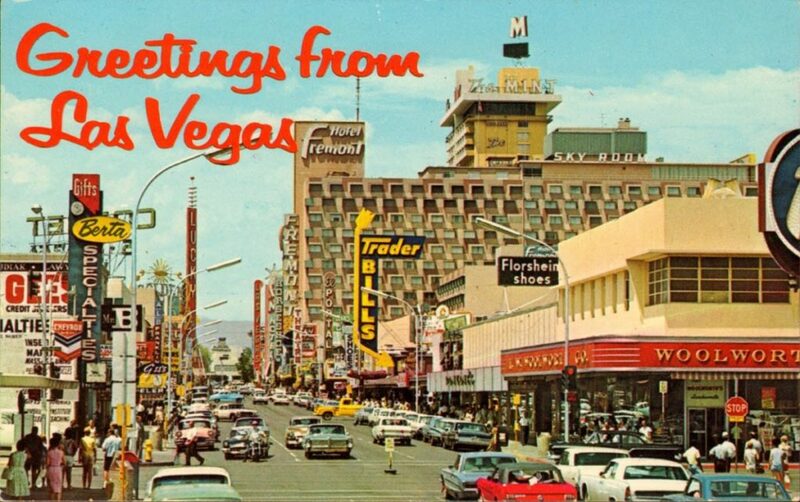 Las Vegas was incredibly functional in a way that most big cities weren’t. Modernism also seemed to be quite short-sighted in the way it viewed how people interacted with their buildings. Essentially, people who were using these common spaces had no say in whether they like Modernism or if they preferred more classic design. 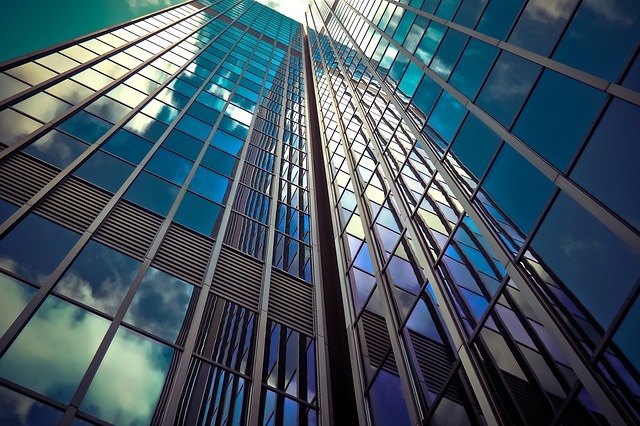 Architects were hired, plans were made and new buildings were constructed. The actual occupants had little say in the matter. Although, if foot traffic is any indication, Americans preferred the glam and glitz of Las Vegas. Even back then, people were flocking to the city. Today, it hosts tens of millions of visitors, which is more than other iconic cities like Paris. In 1972, the book Learning from Las Vegas was published and architects were forced to rethink their support of Modernism. This seminal work was written by Denise Scott Brown, Robert Venturi and Steven Izenour and gave rise to a period of Postmodernism. Through their work, they made the argument that buildings should be designed with a purpose in mind while also considering the types of places people love. Their ideas took hold and buildings became better tools for the public. While Learning from Las Vegas and the architecture of 1960s Las Vegas was certainly influential on a massive scale, this movement also eventually died out. Another defining characteristic of Las Vegas is that it is always in a state of change. This ability to remain flexible and meet the needs of new and emerging customers have been at the heart of its survival. 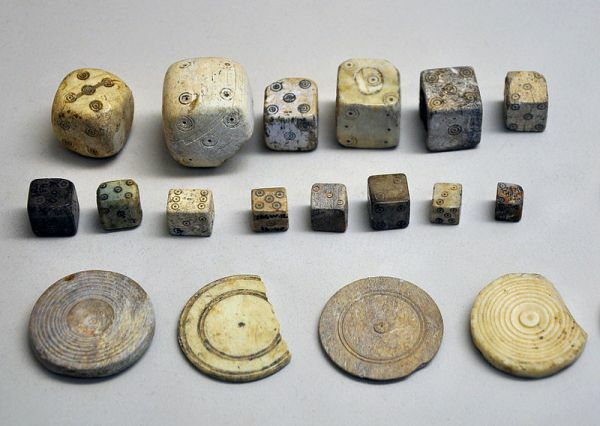 It also means that casinos are often destroyed and rebuilt again to reflect the times. Today, world-class architects are being hired to appeal to Millennials who enjoy urban spaces. These casinos will surely succumb to future trends as Las Vegas continues to be a shape shifting and incredibly influential city. If you want to see the future of architecture, Las Vegas may be the place to look. No other city is quite as daring or equally geared towards innovation in all its forms. 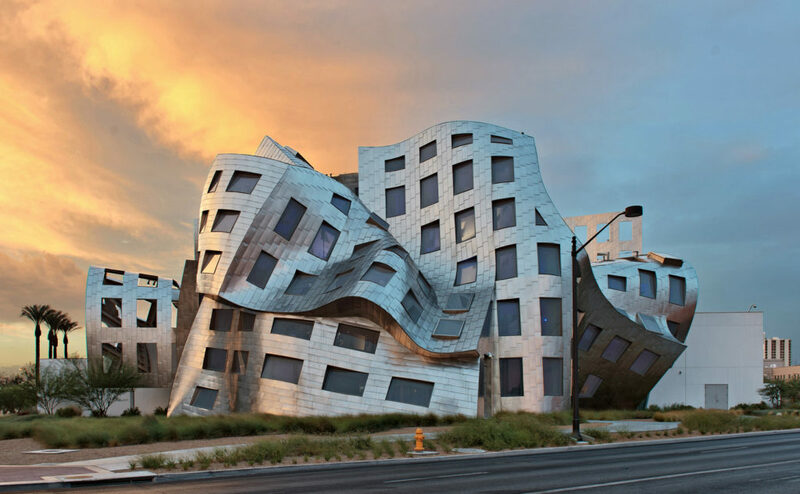 This building was designed by the famous Frank Gehry and is a perfect example of his unique style. The building looks like something out of a fairy tale and is a truly impressive feat of design and architecture even if you aren’t a fan. It features swooping metal arcs and rooms that appear to be melting into one another. The interior is even more mind-boggling, yet also super efficient and functional since this building hosts patients. 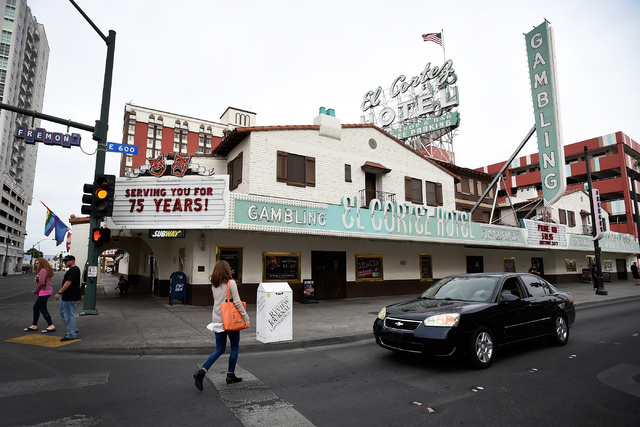 If you are interested in seeing parts of Las Vegas that have survived countless rebirths, then be sure to visit the El Cortez Hotel and Casino, which opened in 1941 and holds the record of being the longest running casino. It showcases the Spanish revival style that can be see in other parts of the city. If you have never visited Las Vegas before, there are any number of impressive hotels and casinos along the strip. One of the more classic landmarks is the Luxor, which is built to replicate the Egyptian pyramids and incorporates several architectural styles. It also provides a great photo opportunity. Las Vegas is much more than bright lights and gambling. 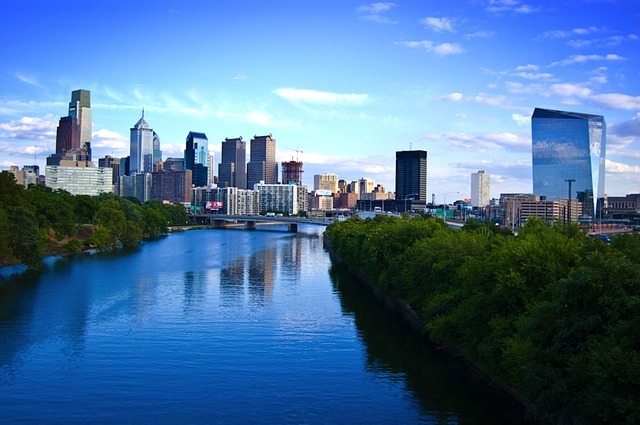 It is a city with a rich history that has influenced the way the rest of America thinks about architecture and designing cities. Looking forward, it continues to serve as an incubator for innovative ideas that include everything from cutting-edge software, like Casino Schedule Ease, to gaming stadiums that are changing how people compete and socialize. The city serves as a good example of what can happen if you don’t fee limited by conventions. The new year is just around the corner and it is that time of year when everyone starts to reflect on the past and look forward to the potential of the coming year. Over the past twelve months, we have spent a lot of time looking at major happenings in the casino industry and thinking about what these changes might mean for the future. With so much going on, it is easy to lose sight of exactly how far the industry has come in just under a century. That is why now seems like the perfect time to take a look back at the evolution of American’s largest gambling and casino destination: Las Vegas. Las Vegas was incorporated as a city in 1911. Before that time, it was just a hot, dry, desolate and unforgiving stretch of desert. There was nothing in the way of resources or business to attract settlers, so it remained largely wild and only really known to cowboys. In 1905, the Salt Lake, Los Angeles and San Pedro railroad began construction in the area. This project was meant to connect main rail arteries with ports along the Pacific Ocean and it brought in a rush of workers who inevitably wanted some entertainment to keep them occupied while they toiled away in the desert. An influx of men into the area gave rise to gambling, speakeasies and brothels. It truly was the wild west and if you were looking for a little work and some trouble, Las Vegas had it all. Early on, there were some efforts by the state to try and control what was happening in Las Vegas. In 1910, Nevada outlawed gambling, but this did little to actually dissuade people from losing their paycheck at a game of cards. For workers, it wasn’t hard to find a nearby speakeasy where they could grab a drink and try their luck at gambling. By 1931, gambling was once again legal in the state and organized crime was already setting up shop. Over the next two decades, the city and what would come to be known as “the strip” was attracting millions of visitors a year. The first Las Vegas building boom began with the El Rancho Vegas in 1941. This was this first casino and resort that included 63 hotel rooms. Most of the early resorts adopted an old west theme that spoke to the early roots of the area, but in 1946, mobster Bugsy Siegel introduced a new vision for Las Vegas that is still alive and well today. He wanted to inject the city with a whole new level of luxury and sophistication. His Flamingo hotel was the first to go beyond themed resorts and offer a more swankier destination that felt a lot more like Hollywood. Other resorts quickly followed suit and the strip became a destination for tourists, performers, celebrities and the rich elite. 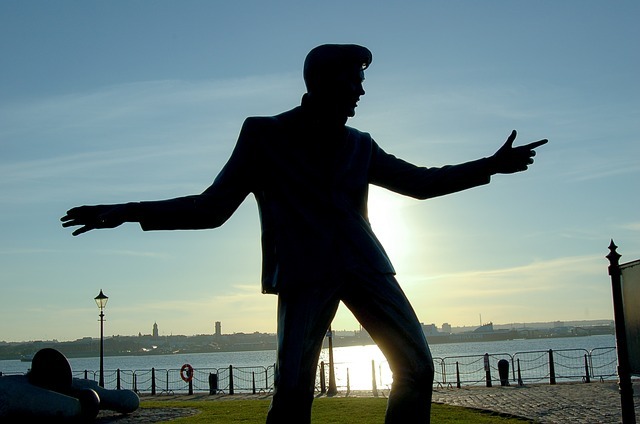 Part of the success of these early resorts was their ability to attract immensely popular performers, such as Frank Sinatra and Elvis Presley. While Siegel was murdered in 1947, his new Las Vegas had already gained momentum and the 1950s and 60s saw tremendous growth and the grand opening of legendary properties, such as the Sands, the Sahara, the Riviera and the New Frontier. In 1966, the eccentric billionaire Howard Hughes checked into the Desert Inn and decided he didn’t want to leave. To him, the solution was simple: buy the hotel. And while he was at it, he bought up a few other hotels. At first, these purchases just seemed like the whim of an extremely rich and unpredictable man, but his investments ushered in a new era where business men and conglomerates would take over the city and the mob would be pushed out. At that point, it practically became a contest to see who could build the biggest, most luxurious resort on the strip. Steve Wynn is credited with building the first mega-resort in 1989, which that set the bar for other developers. When the Mirage first opened its doors, it was the largest hotel in the world with 3,044 rooms. The design would be copied by other Vegas resorts, including Mandalay Bay and Treasure Island. It was also the first resort to host Siegfried and Roy and Cirque du Soleil. Before the Great Recession, the Las Vegas housing market was one of the hottest in the country. Housing prices were up 80% and then the housing bubble burst and Nevada became the state with the highest number of foreclosures as more people became underwater on their homes. Those who had come to Las Vegas to work on home and casino construction jobs could no longer afford to live and across the country, people simply didn’t have the money for a Vegas vacation. Banks began restricting lending and huge resort development projects came to a screeching halt. It was a tough time for the city and the industry, but things have bounced back and we are well into a significant period of growth and construction with new casinos popping up all over the country. Today’s casinos are a far cry from those lonely and dusty western themed casinos in the middle of no where. Modern resorts are more sophisticated, luxurious and cutting edge than ever before. If you want a taste of the future and how technology will influence out lives, all you have to do is look to Las Vegas. The casinos have been some of the first to adopt software management tools, like Casino Schedule Ease, embrace online gaming as a live spectator sport and incorporate automated technology into their daily operations. Just take a look at The Tipsy Robot where your drinks are made by robots. Over the past decades, casinos have managed to weather legal issues, recessions and other challenges and continue to lead with innovative solutions that meet the changing demands of customers. 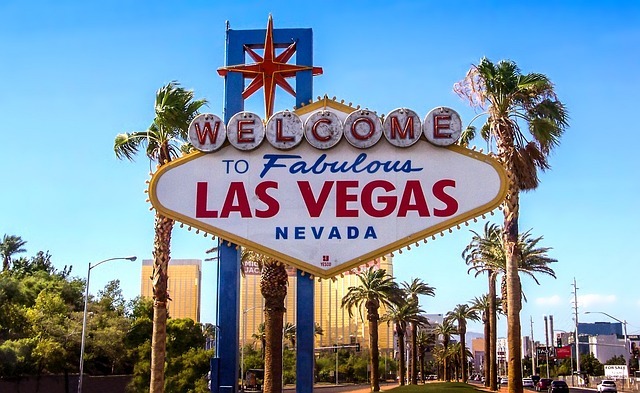 Looking towards 2019, other industries may want to take a closer look at the history of Las Vegas and how it is survived and influenced growth in other markets around the country. There are clearly some important lessons to be learned. Over the last year, the legalization of sports betting has dominated the news across the casino and gambling industries. This major milestone is on-track to transform the way casinos do business and the way states regulate gambling. 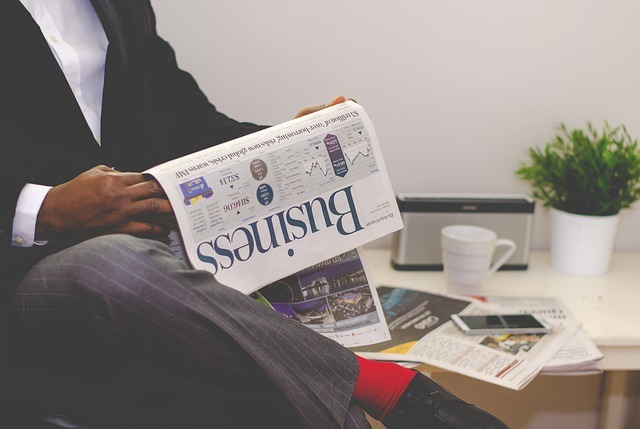 While many are gearing up for big changes that will continue to unfold over the coming months, there have been plenty of other developments in the casino industry that might not have caught your attention. In this post, we will look at some of the major stories that have been overlooked and what they could mean as we look forward to another year in the gaming world. Is the Casino Industry Too Saturated? We have been covering a lot of new casino openings in the US and around the world, but could the construction boom be hitting a ceiling? Atlantic City is continuing to enjoy a resurgence and investors are betting that the boom will continue. Locations in New York State and the southwest are also expanding existing casinos and breaking new ground, but there are some signs in Mississippi that the market may have reached a point of saturation. On November 28th, Caesars Entertainment Corporation announced that it would be closing the Tunica Roadhouse Casino. The company may have overestimated the demand for gambling in the local market. Tunica is already home to seven other casinos, including the Caesars Horseshoe Tunica location. The drive to build and compete might have clouded the company’s judgement when it came to understanding the limitations of the local market. Ultimately, the casino is the smallest in the area and 150 workers will be affected. Considering the size of other locations, this is a relatively small blow, but it could be an early indication that casinos may want to focus on the success of existing locations and not get too far ahead of the game with new construction. While certain areas have reached market saturation, other cities are going full-steam ahead with projects. The Live! Hotel & Casino Philadelphia is a $700 million casino and hotel project that is underway in the city’s stadium district where the Phillies, Eagles, Sixers and Flyers all play. Over the past decade, Philadelphia has seen other major casino projects fall apart at the last minute. Even this project has seen its share of roadblocks, but with demolition and construction permits in hand, it looks like this casino will become a reality. 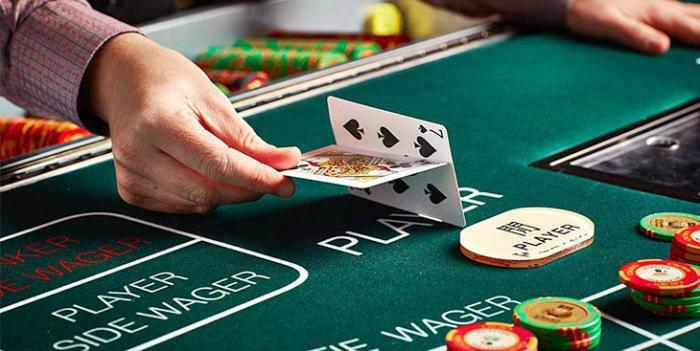 The location means that the casino has the potential to be a part of a truly unique entertainment destination that could bring big revenue to the city and the state. As gambling continues to expand in states where it is already legal, more states are looking to capture their own portion of the pie. Most recently, Virginia lawmakers are expected to share more details about their plan to introduce a bill to the legislature that would open the door to building a $150 million casino resort and hotel in Bristol. While the plan is still in the early stages, initial estimates expect that the casino would add 2,000 jobs in the first year and make an economic impact of $1.9 billion for the entire state. Historically, Virginia has staunchly rejected the legalization of gambling in the state, but recent developments may turn the tide. The legalization of sports gambling and the opportunity for big revenue has softened resistance from some opponents. Perhaps more importantly, the federal government recently ruled that the Pamunkey Tribe could open a casino in the state. Virginia won’t be able to collect any tax revenue from this new casino, so they are looking for ways to enter the market and get their own share of profits. 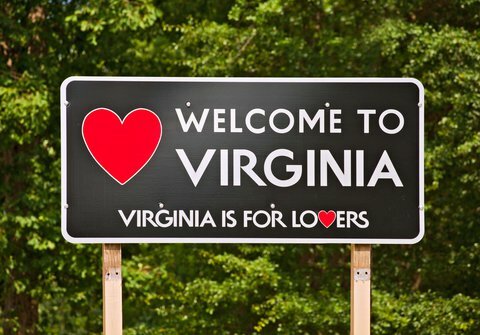 While the bill has yet to be introduced to the legislation, it looks current events have created the most favorable environment so far for those looking to legalize gambling in Virginia. Developers have already chosen the abandoned Bristol Mall as the new site. Many local residents would love to see something done with this vacant building. If everything goes according to plan, new gambling laws would go into affect in July of 2019 and construction would begin immediately. In 2011, Massachusetts passed the Expanded Gaming Act, which allowed for up to three commercial casinos to open in the state. MGM Springfield opened in 2018 and Encore Boston Harbor, a Wynn Resorts project, is schedule to open in June of 2019. (The final license may not be issued for some time while the state waits to see if a third casino would create too much competition.) In recent months, the casino has come under fire and faced accusations of federal racketeering that implicate mob involvement in the project. Wynn resorts has denied any illegal activity and characterizes the accusations as retribution from a competitor who was unsuccessful in securing the gambling license. While it remains to see if anything comes of the pending lawsuit, Wynn Resorts has been faced with a public relations problem. 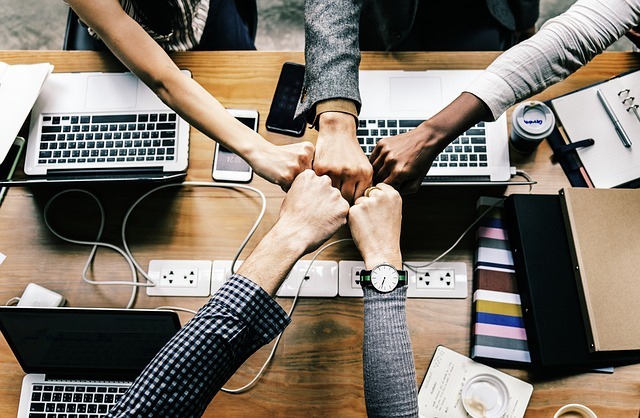 In an effort to connect with community and demonstrate a commitment to make a positive impact, the company announced that it would donate $10 million over the next four years to local social programs. A committee will be established to help choose which programs receive funding. This gesture may help ease any negative affect recent lawsuits have had on the reception of the impending casino. As more states legalize gambling and casino construction continues to ramp up around the country, increased competition will require casinos to operate smarter and more efficiently then ever before. 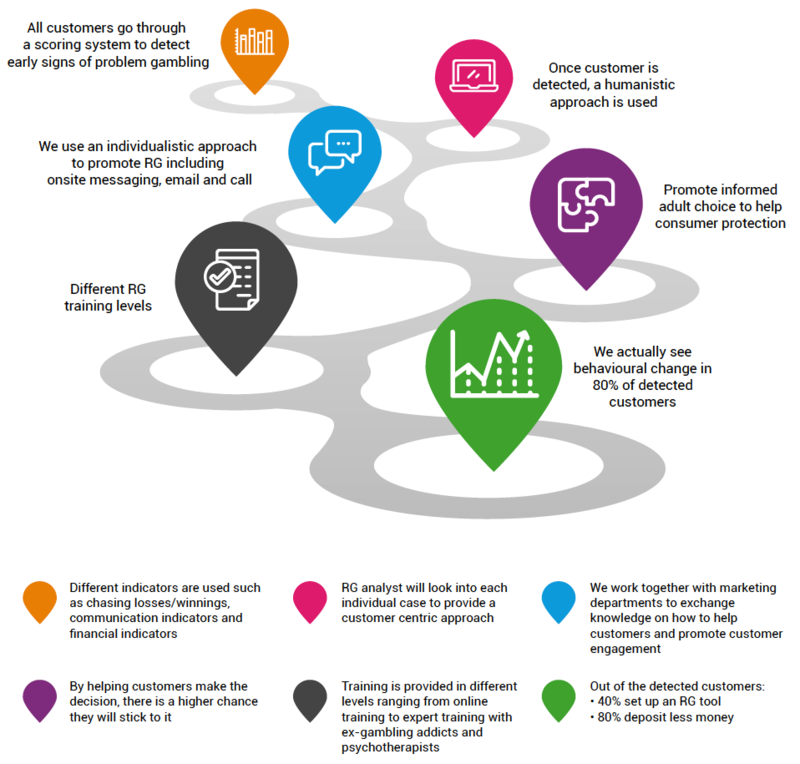 This means being proactive about catering to the evolving needs of a new generation of customers and implementing the latest management software, like Casino Schedule Ease, to provide a superior customer experience. 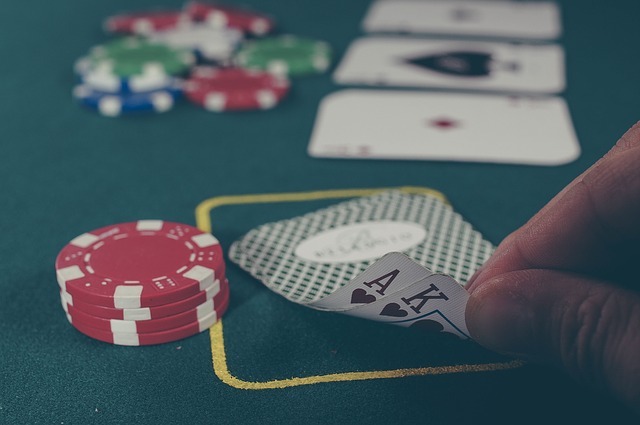 These operational factors will play a larger role in the success of casinos as consumers have more and more options when it comes to gambling. If market saturation becomes a more widespread problem over the next decade, only the best run casinos will survive.